251 Commonwealth is located on the north side of Commonwealth, between Fairfield and Gloucester, with 249 Commonwealth to the east and 253 Commonwealth to the west. 251 Commonwealth was designed by Shaw and Shaw, architects, and built in 1880-1881 by Shepard & Weston and B. D. Whitcomb, builders. It was built as the home of Joseph Smith Bigelow, a banker and investor in copper mines, and his wife, Mary Cleveland (Bryant) Bigelow. They previously had lived in Cohasset, where they continued to maintain a second home. Joseph Bigelow is shown as the owner of 251 Commonwealth on the original building permit application, dated November 2, 1880. He purchased the land the house on October 5, 1880, from John W. Wheelwright. The lot previously had changed hands several times, and originally was part of one of several parcels purchased from the Boston Water Power Company on January 29, 1866, by a real estate investment trust formed by John Templeman Coolidge, Franklin Evans, and Charles Henry Parker. The trust had subsequently subdivided the parcels into lots, which it sold to investors and builders, who then frequently resold the lots to others. Click here for an index to the deeds for 251 Commonwealth. During the 1889-1890 winter season, the Bigelows were traveling abroad and 251 Commonwealth was the home of Joseph Bigelow’s brother-in-law and sister, Thomas Nelson and Anne S. (Bigelow) Nelson. A former real estate dealer, he was treasurer of several mining companies. 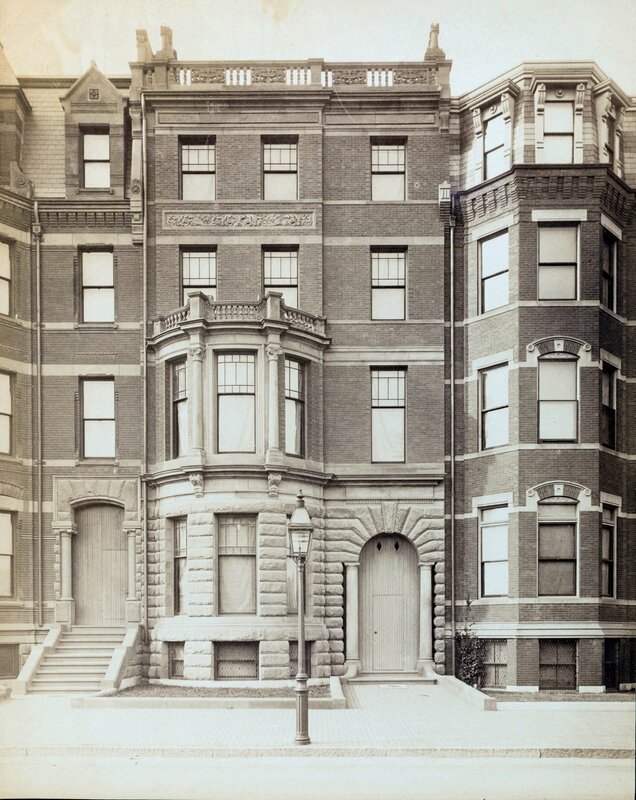 They had lived at 166 Marlborough during the previous season, and by the 1890-1891 season were living at 128 Marlborough, where Anne Nelson died in March of 1891. 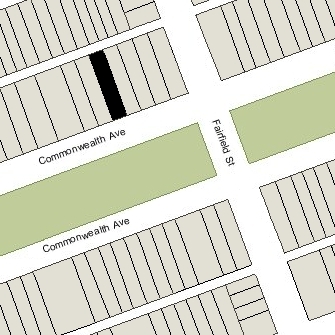 By the 1890-1891 winter season, the Bigelows were living at 251 Commonwealth again. Sometime between 1902 and 1908, the Bigelows added a penthouse. The house appears as a 4 story (plus basement) house on the 1902 Bromley map, and as a 5 story (plus basement) house on the 1908 Bromley map. During the 1908-1909 winter season, the Bigelows were living elsewhere, and 251 Commonwealth was the home of ornithologist John Eliot Thayer and his wife, Evelyn Duncan (Forbes) Thayer. They had lived at 173 Commonwealth during the previous season. 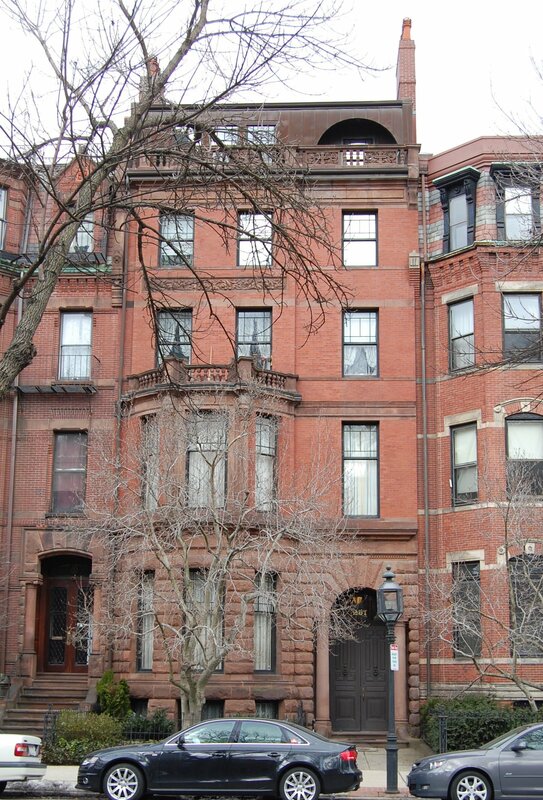 They continued to live at 251 Commonwealth during the 1909-1910 season, but had moved to 25 Exeter by the next season. By the 1910-1911 winter season, 251 Commonwealth was once again the Bigelows’ home. Joseph Bigelow died in December of 1930; Mary Bigelow moved soon thereafter. The house was not listed in the 1931 and 1932 Blue Books. 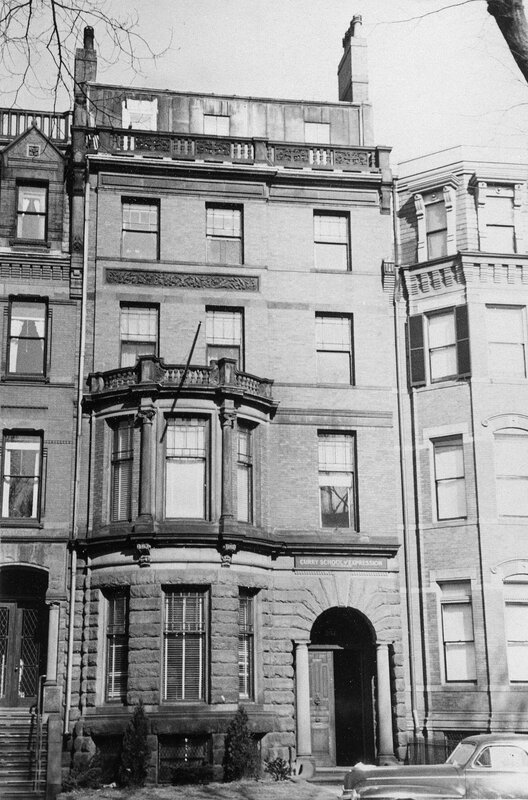 On January 2, 1932, 251 Commonwealth was purchased from Joseph Bigelow’s estate by Shirley Clifford Speed, a real estate dealer who converted many Back Bay houses into lodging houses and apartments. In June of 1932, he filed for permission to convert 251 Commonwealth from a single-family dwelling into “apartments and rooms [for] two families.” He subsequently abandoned the application. On August 2, 1932, 251 Commonwealth was acquired from S. Clifford Speed by Frances I. Fagan. In the spring of 1933, 251 Commonwealth was acquired from Frances Fagen by the School of Expression. The deed was dated August 2, 1932 (the same day as Frances Fagan had purchased the property) but was not recorded until March 30, 1933. In October of 1932, the school had applied for (and subsequently received) permission to convert the property from a single-family dwelling into a school and one residential unit. By the 1940s, the school was using the residential portion of the property as a lodging house. They were cited by the Building Department and in March of 1942, applied for (and subsequently received) permission to convert the property into a school and lodging house. In June of 1943, the School of Expression changed its name to Curry College. It continued to be located at 251 Commonwealth until about 1953. From about 1950 to 1953, it also maintained a dormitory at 253 Commonwealth. The building was shown as vacant in the 1954 City Directory. On May 27, 1954, 251 Commonwealth was acquired from Curry College by the Boston Music School, Inc., a non-profit community music school. It previously had been located at 41 Allen Street. In January of 1954, prior to taking title to 251 Commonwealth, it applied for (and subsequently received) permission to convert the property from a school of expression into a school of music. In March of 1962, the school changed its name to the Boston Community Music Center, and in May of 1968, it changed its name again, to the Community Music Center of Boston. It continued to be located at 251 Commonwealth in 1970. On April 30, 1975, Albert and Diane Pesso acquired 251 Commonwealth from the Psychomotor Institute. On August 3, 1976, 251 Commonwealth was acquired from the Pessos by Victor B. Castellani and his wife, Marianne M. (Sukert) Castellani. In June of 1979, Victor Castellani applied for (and subsequently received) permission to convert the property from a school of music and one apartment into a four-family dwelling, including remodeling the existing fifth-floor penthouse. 251 Commonwealth remained a four- to six-family dwelling in 2017.